There are a TON of free resources for learning a foreign language online. Most people when they want to learn a language, want to speak it. When you want to speak in a new language the most important thing you can do is wait for it…..speak the language! One of the best ways to do this is through language exchanges. In a language exchange two people agree to help each other practice their respective languages. For instance, if I'm a native English speaker who is learning Spanish, then I would look for a native Spanish speaker who is learning English and we would both practice English and Spanish together. This is a fun (and free!) way to get real one on one language practice, and you can practice any language not just Spanish, English, or Russian. There was a time when finding a language exchange partner could be difficult, but thanks to the internet and a few really awesome websites, it's now easy to find and connect with other language learners from around the world! As far as I can tell Wespeke is a newer site. I think I found out about them through a Facebook ad. They allow, text chat, voice chat, and video chat. When you sign up with an account with Wespeke you make a profile, upload a picture, and enter all the usual stuff: your name, age range, native and target languages, and your country etc. After that Wespeke asks you to enter in your interests in categories ranging from food, music, and books, to politics and the environment (none of this is mandatory). You just check boxes next to what you are interested in, much like you do when you first get a Netflix account. Wespeke then uses this feature to give you recommendations on language partners who share your interests. The idea here is that you will have more to talk about with them because you are interested in similar things. Wespeke is easy to use. It doesn't take long to make a profile and once you find a potential language partner you can start chatting right away. Wespeke shows you everyone who is on their site. You can browse their users by target language, then send them a message and if they respond you’ll be given a chat window and can easily switch between text, audio, and video chats with that person. I really like this feature. There are a selection of in-chat tools that help you keep the conversation completely in Wespeke. You can look up words and share links directly within the chat so you don’t have to constantly switch between Spanishdict or Youtube to look up words or share videos. Also they provide some standard buttons like “Say it again”, “Say it slower”, and “Can you write it?”. All you have to do is click the button and Wespeke lets the other person know what you mean. Wespeke has a cool notebook feature that lets you click on a word that has been written in your chat and add it to your “notebook” where you can add comments or write the definition. The notebook saves your changes and you can access it during any chats in the future. The only drawback I've found on Wespeke is that it is a relatively new site. Consequently sometimes there aren't as many language learners to chat with as there are on the other language community sites. Speaky is another online newer language exchange that boasts 100,000 users from 180 different countries. Speaky's platform is very similar to Wespeke and provides both on site text and video options. Speaky functions like a social network in that you design your profile and then search the profiles of other members ( you can search based on language, nationality, and age). You can then request text chats or send friend requests to others members. Speaky has a mobile app so that you can use it on the go. It's a great option that allows you to take your language learning anywhere. Two features that I think really help Speaky stand out are its timer and calendar features. The ​timer allows you to keep track of how long you speak in a particular language during a chat. This helps keep the language exchange in both languages, which can be very helpful. Speaky also provides a calendar feature that allows you to set dates with other members for language exchanges. This is a highly useful feature that I've wanted to see in other language exchange sites. One of the greatest difficulties I've had with language partners always involves scheduling. Often times I have a great practice session with a new language partner only to never hear from them again because it's so much trouble to schedule another session. Speaky's calendar feature helps overcome that. To my knowledge Speaky is the only site that provides this. With over 1,000,000 users HelloTalk is the largest language exchange app out there. HelloTalk is a mobile app that allows you to find language partners and practice a language via text chat, voice messages, or a phone call. HelloTalk functions as a regular mobile chat app (think WhatsApp) only with extra language related features. Within HelloTalk's voice and text chat platform there is a voice recognition feature which allows you to practice your speaking and pronunciation even within a text chat. You simply speak into your phone's mic in your target language and Hellotalk will convert the speech in to the appropriate text. Also HelloTalk gives you the option of automatically transliterating. This is especially helpful when you're learning a language with a non-romanized script (like Mandarin). HelloTalk will automatically covert the script into a romanized version so that if you don't know the characters you can still benefit from a text chat. NOTE: there is a limit to the transcription feature if you use the free version. You will have to use the paid version if you want to use the feature past the limit. There is an app translation feature. It works fairly well, but like most translators it isn't perfect. It's still nice to have the option of translation without having to use Google translate or some other external app.​ NOTE: Your translation limit is capped if you use the free version of HelloTalk. There is a paid version which allows you to translate more. HelloTalk has a character counter so that it easier to make sure both language partners are practicing their respective languages. You can also edit the messages of your language partner to correct them and help them improve. I especially love this feature because it keeps the correction process simple while allowing the conversation to keep moving. You can use HelloTalk to connect with language partners in the real world. The app lets you search for other learners based on their location. You can use the app to screen possible language partners . When you find one you work well with you can set up a real world language exchange. Honestly there aren't many negative things I can say about HelloTalk. 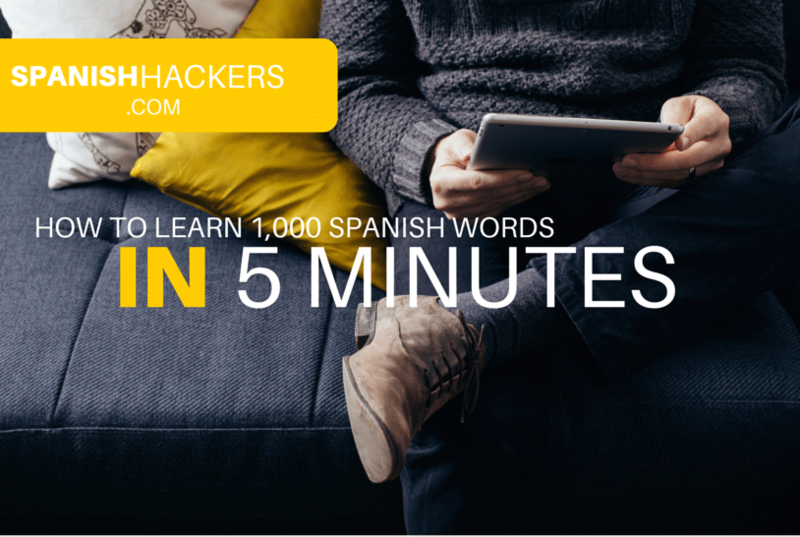 The app works great and can help you practice a language. Obviously it would be better if the paid features were free, but I don't think it's wrong for the app developers to make a little money. They gave us a great app so I think it's fair. Sharedlingo is an online language exchange made by the founders of Sharedtalk. For those who don't remember Sharedtalk was one of the oldest and largest language exchanges on the web before it was shut down in late 2015. Sharedlingo is pretty much a better more modern version of Sharedtalk. It offers the exact same features such as text chat, audio chat, and a messaging system, but Sharedlingo is mobile friendly, where Sharedtalk wasn't. What I like most about Sharelingo is that it is straight to the point. The site is only for language learning. Using the site for social or romantic reasons is discouraged. Consequently the member profiles aren't that detailed, there aren't any user photos, and there is no video chat option. In my opinion this makes it a little more likely to find a serious language learner to practice with. Sharedlingo is probably the easiest language exchange to use, because so very simple. There's not much to the site outside of the main chat lobby. I count this as a benefit because you can create an account and start practicing with someone almost instantly. ​I'll admit that sometimes I prefer to have a video chat over a voice chat. If you're looking for nothing more than straightforward instant language practice Sharedlingo is a safe bet. The same features that make the site great for instant practice also make it bad for long term connections. If you're looking to connect with language partners in the hope of developing a long term language exchange/casual friendship Sharedlingo is not the best choice. ​But if you do find a language partner that you connect with you can always swap contact info with them and move the language exchange onto another platform. Italki is primarily a platform to connect language learners with language teachers and tutors. You have to pay if you want to have a lesson with a teacher or tutor, but the site also has a community tab where students can interact with other students and practice for free. You can check out my review of Italki's paid lessons here. Italki is essentially a giant social network for language learners. You make a profile, upload a picture, and enter your information. Under their community tab you are able to search for other students by native language, target language, gender, age, and country. Italki lets you post journal entries, submit questions, and start discussions on their community board where you can find answers and correct your writing with native speakers. This is great if you want to double check on how to translate a word or just want to work on writing in your target language. Italki has a very active community of language learners. There is no shortage of people on Italki and it feels like there are new profiles every day. It’s a fairly active community, there are always discussions going on and questions being asked. Italki also has a blog where teachers and students write posts about language learning in particular and Spanish learning specifically (they write about other languages too). This is a nice bonus resource. There are some cool articles on Spanish grammar that I found helpful. Italki does not have an instant chat feature like other language exchanges. You have to contact language learners through their message system and then swap contacts and chat through Skype. This takes a little more initiative on you and your language partner's part to get in touch if you want a language exchange. As you can probably tell by now there are a lot of free options for practicing a new language online with native speakers. Anyone of these 5 are a great choice, and since they're all free I recommend you try out a few to see which you prefer. There are other online language exchanges out there but these were the 5 I thought were most noteworthy. Do you guys know of any others you would recommend? What has your experience been with these sites?